*Authorized R.D. Henry Dealer* Our mission is to provide custom cabinetry for your home that is beautiful, unique, and above all—functional. We are great listeners and want to hear about your lifestyle, cooking style, storage needs and design goals, so we can create the design that is best suited for YOU. Consider us your trusted advisers to guide you through the design and selection process. KRISTI MUNROE - Kristi has been in the kitchen and bath design industry since 2001; however, design has been a lifelong passion. Kristi's primary strength is her amazing ability to make the best use of a space; she has an unparalleled passion for innovative strategies and space utilization. Her creativity illustrates her ability to adapt to her surroundings, customizing unique spaces for each client. With an architect's perspective and artist's eye, she ensures that her projects are equally functional and visually stunning. KAREN MOYER - Karen's kitchen design career was launched in 2004. She designed cabinetry for numerous homes in Summit County through 2012. 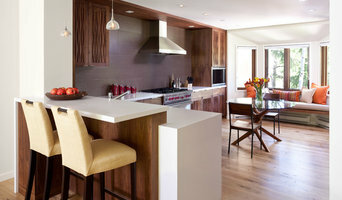 In 2013 she became an NKBA Certified Kitchen Designer (CKD). Next she wanted to broaden her experience to the world of appliances, so she became the Trade Rep for the Colorado distributor of Sub-Zero and Wolf appliances from 2013-2016. Now she is returning to her true passion of kitchen design and bringing with her the experience she has gained along the way. The KM Design studio is conveniently located in the Airport Business Center in Aspen; providing you the best in quality products, design, and customer service. Tanya Simpson Miller, principal of Tanya Simpson Miller Design, has been transforming spaces with her distinguished style for more than a decade. With an emphasis on timeless, functional interiors and meticulous project management, Tanya works directly with her clients to shape a vision for their custom homes and existing properties. TSM Design provides a full scope of services, for all interior and exterior design needs. Tanya particularly loves the challenge a great remodel project. 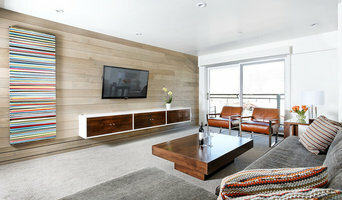 She has a unique ability to see a space with her client’s style in mind, and translate their vision into a space that makes them feel at home. But before you start sending out dozens of emails and making phone calls, sit down and think about your project. What's your budget? What is the scope of your project? Will you need more than one type of professional to complete your home improvement project in Aspen, CO? Can you afford to complete the full project now, or should you tackle it bit by bit? Once you've settled on your project’s priorities, budget and scope, it's time to start researching Aspen, CO home design professionals. Don't sell yourself short and settle on the first professional you set your sights on. Make sure that you're working with someone local, who can get to the jobsite easily and efficiently. Look into the person’s reviews, ask to speak with former clients and to see previous jobs in person. Take a good look at their portfolio photos: How similar are these projects to your own? Be honest — that mansion might look beautiful, but it might not have a lot in common with your little bungalow. Reach out to multiple professionals — especially for larger projects — and don't settle for the first bid you hear. Comparing multiple Aspen, CO professionals' bids and experiences can help you find the one that’s best for you. Ask a lot of questions now, so you won't have unexpected answers later. Find a home design professional on Houzz. Narrow down your search by type of professional and location. 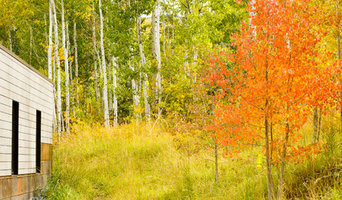 Browse Aspen, CO portfolio photos, read client reviews and contact each Aspen, CO professional for more information. Check out the information in the specialized professional sections too for tips on how to hire the right professional for your project.